Classmate Amanda Toler's Global Criss Cross blog has primarily focused on cross-cultural experiences students have while travelling and learning abroad. In a bit of a detour from her main topic, she's posted about Time Magazine's recent issue on the global spread of breast cancer. 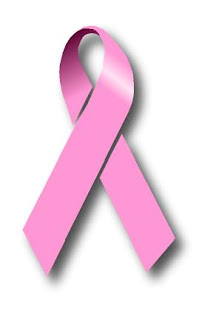 Timely post and timely article for October's Breast Cancer Awareness month. Amanda's remarked about the impact of the interactive graph that accompanies the story. "Thanks to better sanitation, more food and improved public health, the average life expectancy in low- and middle-income nations has risen from 50 in 1965 to 65 in 2005. Women are simply living long enough to reach the age at which they're most susceptible to breast cancer. With Westernized life spans, however, can come Western habits too — fatty foods, lack of exercise and obesity, all of which may raise the incidence of breast cancer." Gulp. Not only are our reading, cultural and political interests spreading around the world, but so are some of the bad habits and crazy lifestyle changes. Is this the kind of global impact we want to have on the world?